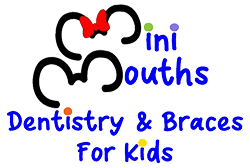 At Mini Mouths, we serve young patients throughout Coral Springs, Boca Raton, Parkland, Pembroke Pines and the surrounding areas. We offer quality care in a friendly and comfortable environment for your child. We have created an environment where your child feels comfortable to receive treatment. We treat you courteously from the moment you and your child walk in the door to the time you leave. Get helpful tips from our Pediatric Dentists on planning your child's first visit to the dentist. Learn about FAQ about pediatric dentistry and how to care for the teeth of your infant, child, or teen! 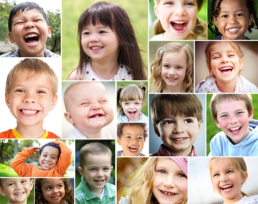 You are always invited to call Mini Mouths to schedule your child's dental care appointment. At Mini Mouth Dentistry for Kids, we aim to encourage excellent pediatric dental health and oral hygiene habits from an early age by providing a comfortable and relaxing environment for your child and the parents. At our family-oriented pediatric dental office, our team offers the latest in children’s dental care, technology, and equipment, and we take the time to provide thorough patient education. It is very important to us that your child feels safe with our pediatric dentists and understands the importance of taking care of his or her teeth. When you visit Mini Mouths, you will quickly come to learn that your child’s overall health is our number one priority. While other general dentists may offer children’s dentistry as a small part of their practice, this is our area of focus and our passion.